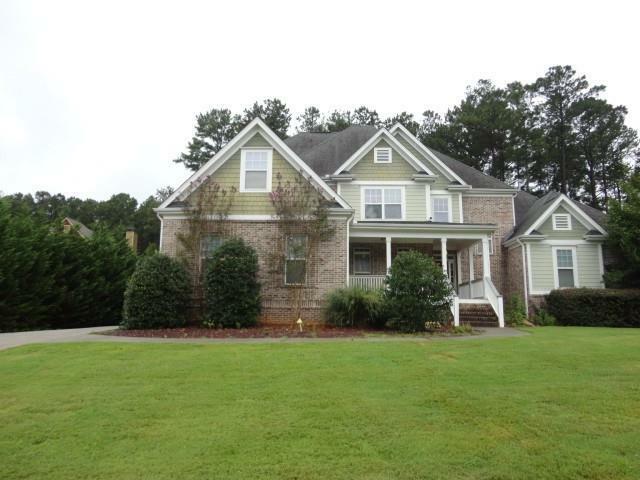 Stunning brick home in the Parkview School Cluster! Elegant, Spacious and Sprawling - custom finishes & detailing throughout this captivating home include hardwoods & heavy trim throughout. Gourmet granite kitchen w/professional SS appliances & fireside keeping room. Master on main retreat w/ cozy fireplace & spectacular granite bathroom. Guest bedrooms with private bath. Finished terrace level with in-law suite potential w/large wet bar, family & media rooms, bedroom suite. Large deck and pation and entertainers dream! Three car garage! Directions: From I85 Take Indian Trail Exit L To R On Lilburn St/Mtn Left On Garner, Rt On Miller To Sbdv On Left Or Take Five Forks Trikum To Garner To Left On Miller.